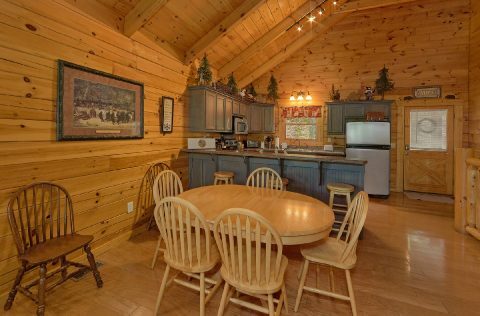 If you've been searching for a theater cabin in Gatlinburg, look no further than the convenience and comfort of "A Bear Affair", a 2-bedroom rental cabin between Gatlinburg and Pigeon Forge. 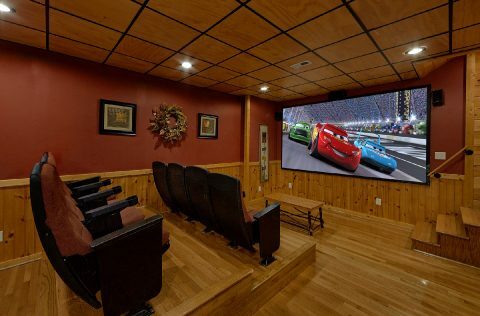 The theater room gives you an exceptional movie experience: a whopping 10-foot theater screen, authentic theater seating for 8 people, surround sound, a Blu-ray/DVD Player, and a large selection of movies on hand! 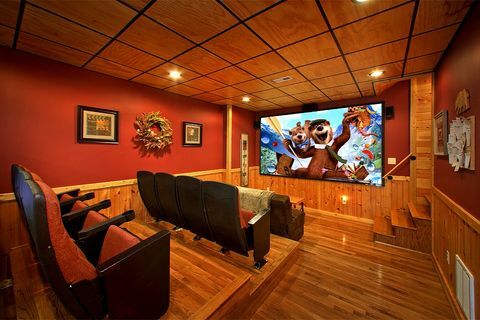 Feel the action of those Volunteer football games from the comfort of this cabin's climate controlled private theater room. 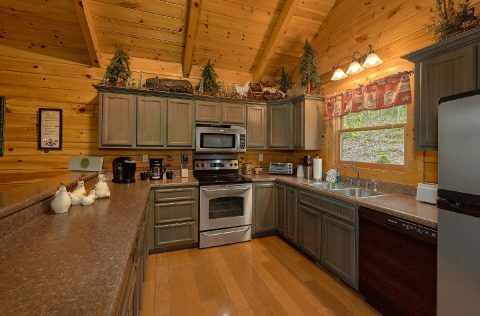 After spending the day downtown Gatlinburg or Pigeon Forge, visiting unique Smoky Mountain gift shops and finding amusement at various Smoky Mountain area attractions, it's comforting to know relaxation is nearby at this cabin in the woods. 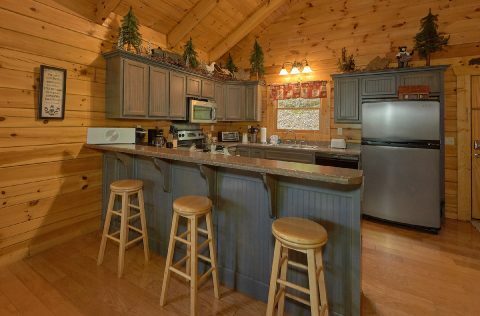 Relax in the soothing warmth of your cabin's hot tub while scrumptious steaks simmer over the outdoor grill. 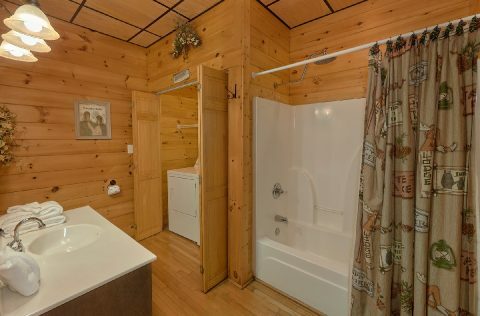 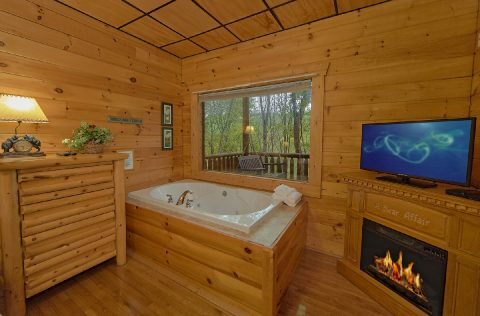 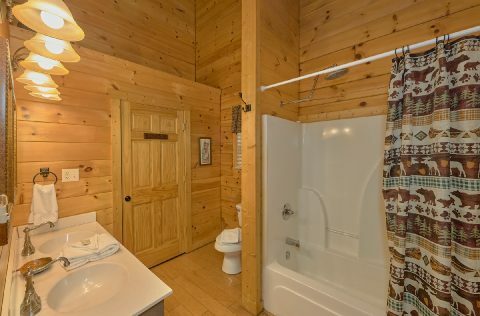 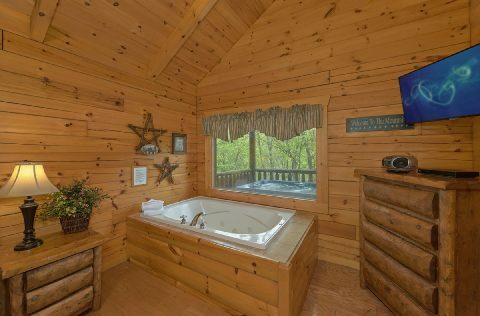 Each of this 2-bedroom rental cabin’s master suites features its own jacuzzi tub. 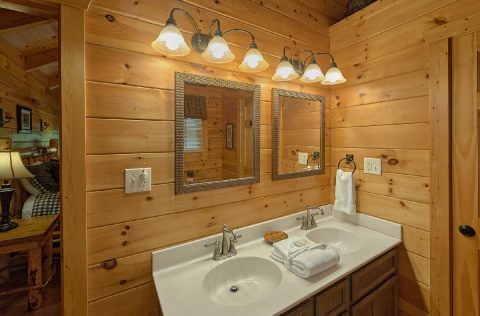 A cozy electric fireplace warms guests on cold winter nights in one of the master suites. 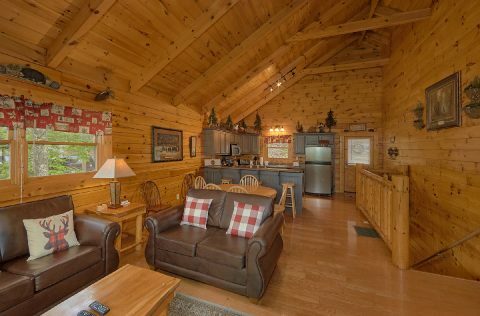 This Gatlinburg theater cabin rental provides other great features: a beautiful stone gas fireplace in the living room, free wireless Internet, cable TV, five DVD players, endless hours of family fun in the cabin’s game room, a pool table, a foosball table, and PlayStation 2 Game System with a collection of PS2 games. 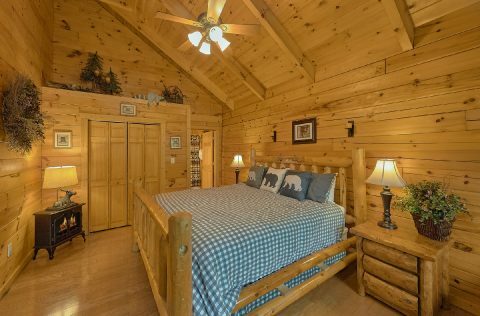 With 2 king-size bedrooms and a sleeper sofa, this cabin can sleep up to 6 guests in comfort. 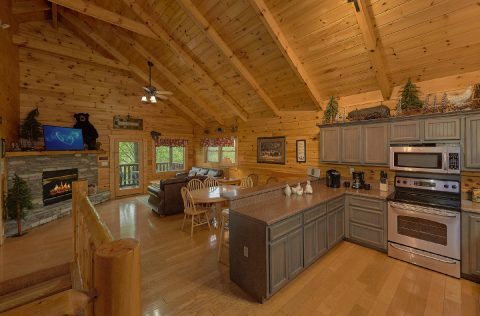 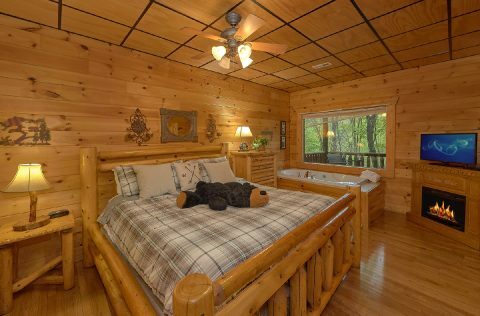 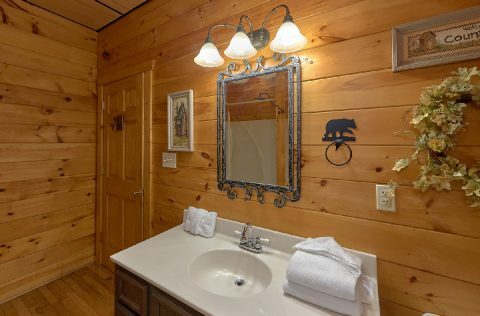 Select "A Bear Affair," a 2-bedroom rental cabin between Gatlinburg and Pigeon Forge within minutes of area attractions, for your Smoky Mountain getaway!